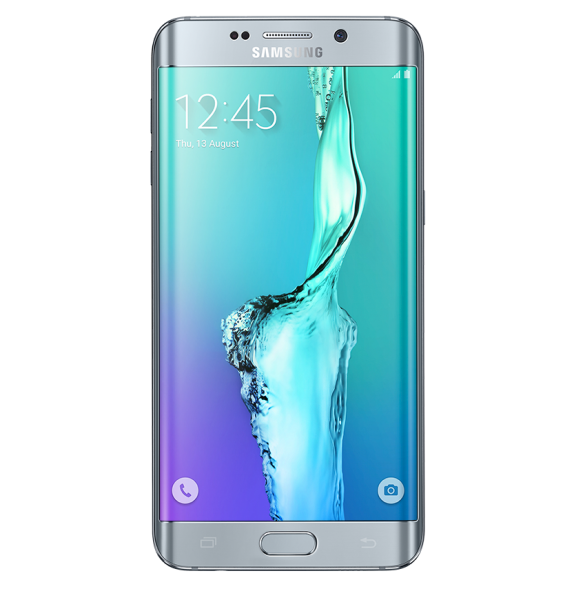 The Samsung Galaxy S6 Edge Plus is the larger sibling of the previously launched Samsung Galaxy S6 Edge. The Samsung Galaxy S6 Edge Plus boasts a large 5.7-inch dual-edge display and retains the S6 Edge’s good looks. 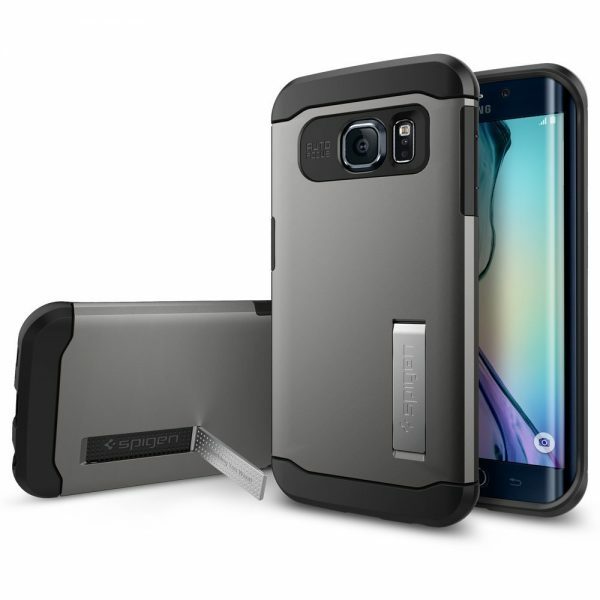 Listed below are the top 10 best Samsung Galaxy S6 Edge Plus cases and covers. 1. 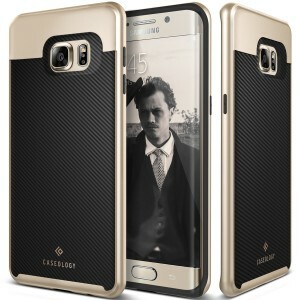 Caseology Envoy Series Premium Leather Bumper Cover for Samsung Galaxy S6 Edge Plus: Caseology always successfully outperforms itself in terms of design. 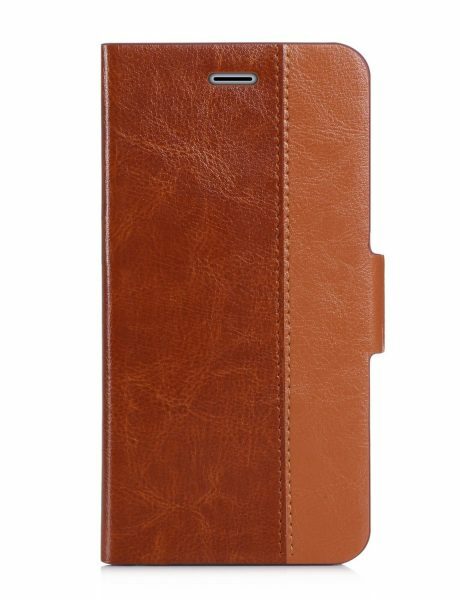 The Caseology Envoy Series Premium Leather Bumper Cover is definitely one of the most beautiful cases ever designed for a smartphone. 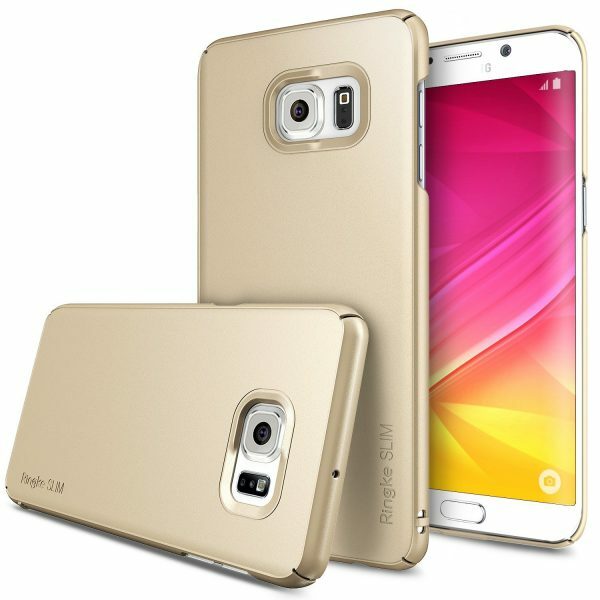 The Caseology Envoy Series Premium Leather Bumper Cover for Samsung Galaxy S6 Edge Plus is available in 5 beautiful colors. 2. 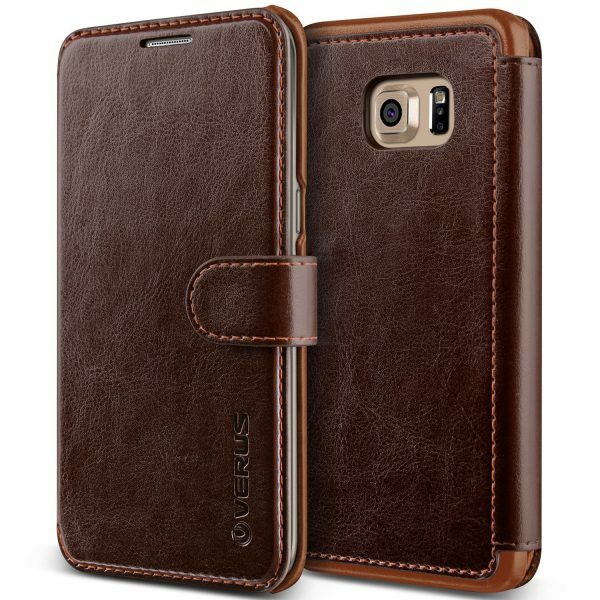 Verus Samsung Galaxy S6 Edge+ Wallet Case Flip Cover: The Verus Samsung Galaxy S6 Edge+ Wallet Case Flip Cover is very luxurious and elegant. The Verus Samsung Galaxy S6 Edge+ Wallet Case Flip Cover has three card slots and a cash compartment. This folio cover is available in 3 colors. 3. Spigen Samsung Galaxy S6 Edge Plus Slim Armor Case: The Spigen Samsung Galaxy S6 Edge Plus Slim Armor Case looks good and also offers excellent protection to your very expensive Galaxy S6 Edge Plus. The case uses air cushion technology to protect the smartphone from drops. 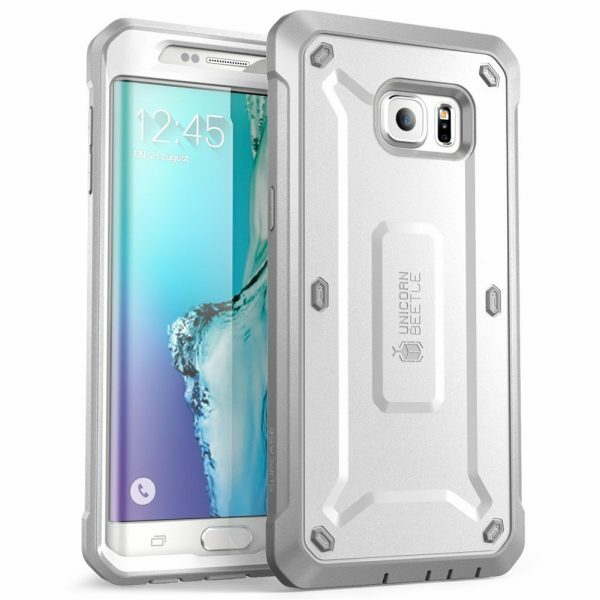 The Spigen Samsung Galaxy S6 Edge Plus Slim Armor Case is available in 4 colors. 4. Urban Armor Gear Samsung Galaxy S6 Edge Plus Case: The Urban Armor Gear Samsung Galaxy S6 Edge Plus Case meets military drop-test standards and provides top notch protection to the Samsung Galaxy S6 Edge Plus. The Urban Armor Gear Samsung Galaxy S6 Edge Plus Case is available in 3 colors. 5. Speck CandyShell Grip Case for Samsung Galaxy S6 Edge+: The Speck CandyShell Grip Case for Samsung Galaxy S6 Edge+ is fairly attractive with rubber stripes on the back and the rubbery ridges also provide tremendous grip to the Galaxy S6 Edge Plus. 6. 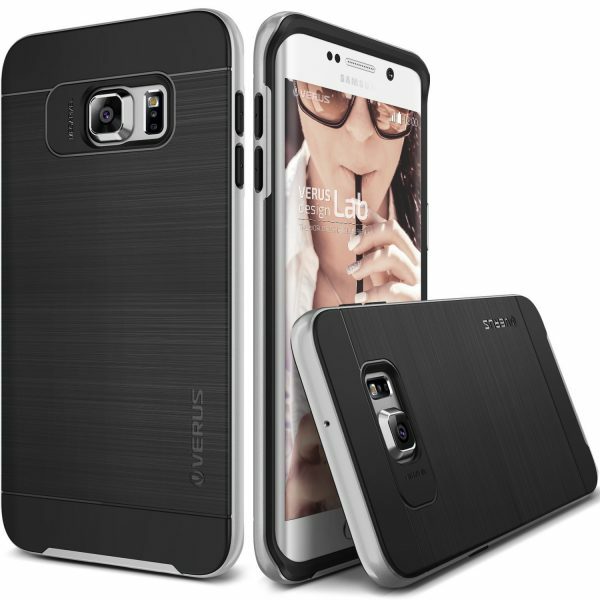 Verus High Pro Shield Samsung Galaxy S6 Edge Plus Case: The Verus High Pro Shield Samsung Galaxy S6 Edge Plus Case offers a slim fit and oozes premium feel with its brushed metal look. 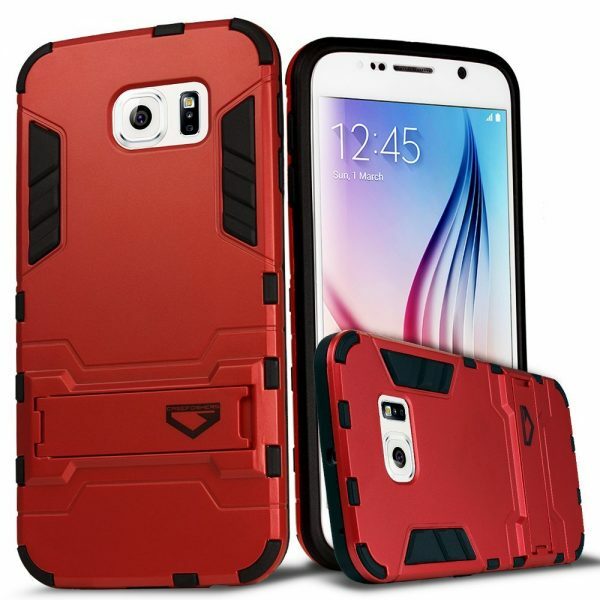 The Verus High Pro Shield Samsung Galaxy S6 Edge Plus Case is available in 5 different colored bumpers. 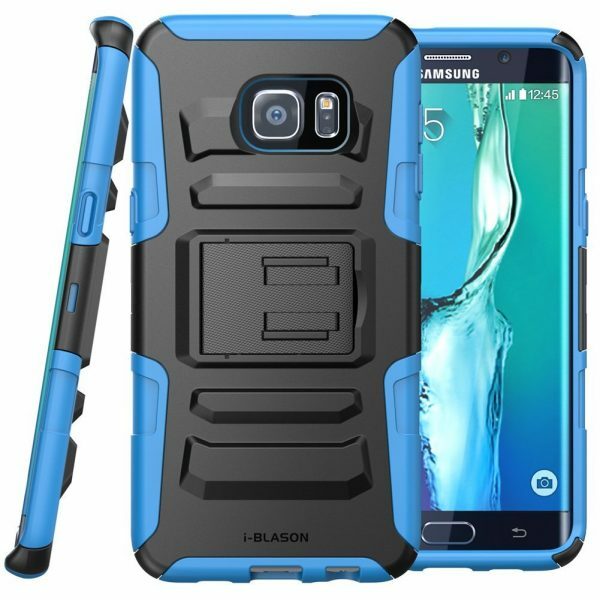 7. i-Blason Prime Series Samsung Galaxy S6 Edge Plus Case: The i-Blason Prime Series Samsung Galaxy S6 Edge Plus Case is a rugged smartphone case with a locking belt clip swivel holster and a kickstand. 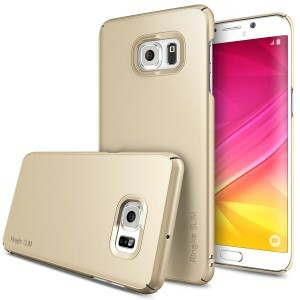 The i-Blason Prime Series Samsung Galaxy S6 Edge Plus Case is available in 3 colors. 8. OtterBox Symmetry Samsung Galaxy S6 Edge+ Case: As with all OtterBox cases, the OtterBox Symmetry Samsung Galaxy S6 Edge+ Case too provides good protection to the Galaxy S6 Edge Plus from drops, bumps and scratches. The OtterBox Symmetry Samsung Galaxy S6 Edge+ Case is available in 3 colors. 9. 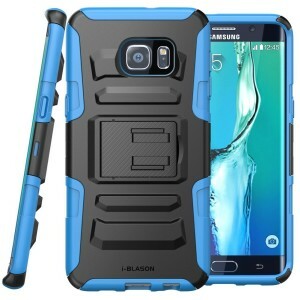 Supcase Unicorn Beetle Pro Series Samsung Galaxy S6 Edge Plus Case: The Supcase Unicorn Beetle Pro Series Samsung Galaxy S6 Edge Plus Case is a heavy duty rugged smartphone case equipped with a belt clip holster. The Supcase Unicorn Beetle Pro Series Samsung Galaxy S6 Edge Plus Case is easy to install and is available in 4 different colors. 10. 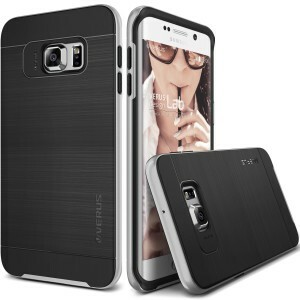 FYY Top-Notch Series Samsung Galaxy S6 Edge Plus Case: The FYY Top-Notch Series Samsung Galaxy S6 Edge Plus Case is made from premium genuine leather and has a very attractive design. The FYY Top-Notch Series Samsung Galaxy S6 Edge Plus Case also functions as a kickstand and has card slots for your credit cards, bank cards, business cards etc. 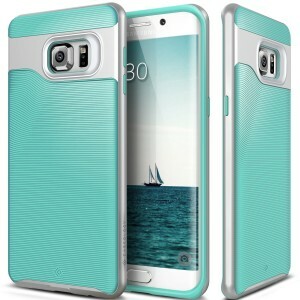 The FYY Top-Notch Series Samsung Galaxy S6 Edge Plus Case is available in various color combinations. 11. Caseology Wavelength Series Samsung Galaxy S6 Edge Plus Case: The Caseology Wavelength Series Samsung Galaxy S6 Edge Plus Case is a very attractive smartphone case available in 4 vibrant colors. The wave pattern texture on the back provides a good grip. 12. 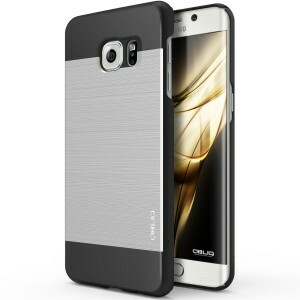 Obliq Slim Meta Samsung Galaxy S6 Edge Plus Case: The Obliq Slim Meta Samsung Galaxy S6 Edge Plus Case is very slim, light-weight and a perfect fit for the S6 Edge Plus. The brushed metallic finish gives a luxurious look to your smartphone. The Obliq Slim Meta Samsung Galaxy S6 Edge Plus Case is available in 6 different colors. 13. Ringke Slim Samsung Galaxy S6 Edge Plus Hard Case: The Ringke Slim Samsung Galaxy S6 Edge Plus Hard Case is ultra-thin, lightweight and a perfect fit for the Samsung Galaxy S6 Edge Plus. The Ringke Slim Samsung Galaxy S6 Edge Plus Hard Case provides all around protection and is available in 4 colors. 14. i-Blason Halo Series Hybrid Clear Case Cover for Samsung Galaxy S6 Edge Plus: The Samsung Galaxy S6 Edge Plus is a natural beauty with its dual-edge display. 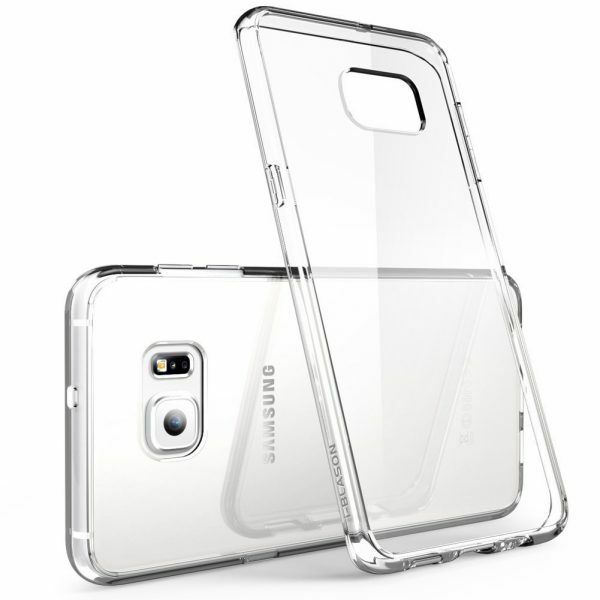 The i-Blason Halo Series Hybrid Clear Case Cover lets you show off your very beautiful Galaxy S6 Edge Plus. 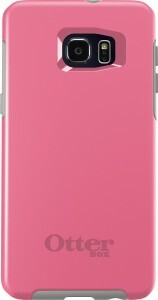 The TPU bumper case is scratch resistant and the raised lip on the front protects the touchscreen display from scratches. 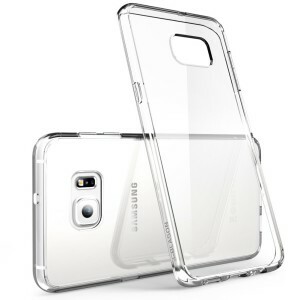 The i-Blason Halo Series Hybrid Clear Case Cover for Samsung Galaxy S6 Edge Plus is available in 4 bumper colors. 15. 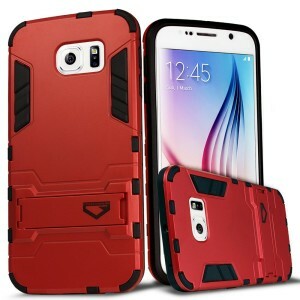 Caseformers Ultra Slim Samsung Galaxy S6 Edge Plus Armor Case: The Caseformers Ultra Slim Samsung Galaxy S6 Edge Plus Armor Case is a sleek looking slim fitting case. The case offers a firm grip and the built-in kickstand lets you conveniently consume media on your smartphone. 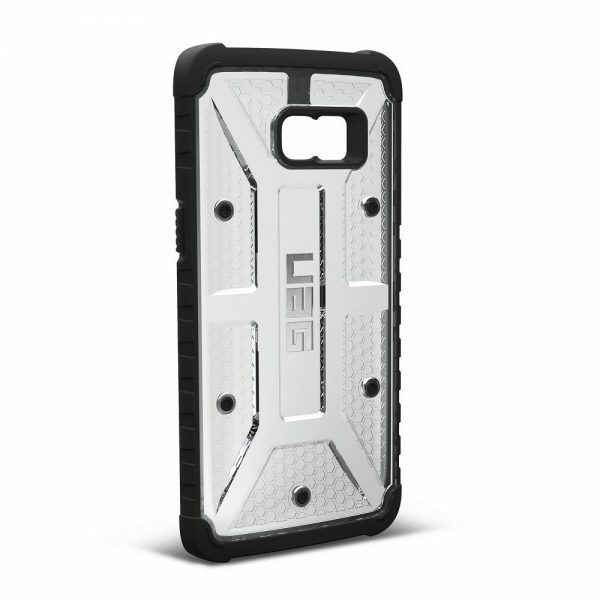 The Caseformers Ultra Slim Samsung Galaxy S6 Edge Plus Armor Case is available in 6 different colors. These are the top 10 best Samsung Galaxy S6 Edge Plus cases and covers. Do let us know which among these Galaxy S6 Edge+ cases you like the most. Got an otterbox symetry for mine and the screen still cracked on an awkward drop. I really wish there was a good flip cover/wallet combo that would encase the whole phone when its not in use.